American agricultural machinery manufacturer John Deere showcased its prototype battery-electric farm tractor ahead of next month’s French SIMA show. And it’s not the type driven around by young children. Rather, it ‘s a full-size tractor, and ready to work on the farm. While company has shown a variety of alternative-fuel sources in the past, including a gasoline-electric hybrid version, the concept, called SESAM (Sustainable Energy Supply for Agricultural Machinery), is the first fully powered solely by a lithium-ion battery pack. The new truck will be based on the standard 6R tractor, and will, according to the Electrek, have two 150 kW motors providing a total of approximately 400 horsepower (the video below and John Deere’s French press release, oddly say total power is 130 kW, but the Professor Dr. Peter Pickel from John Deere confirms the 400 hp number here—there’s a bit of conflicting info on this figure, admittedly). 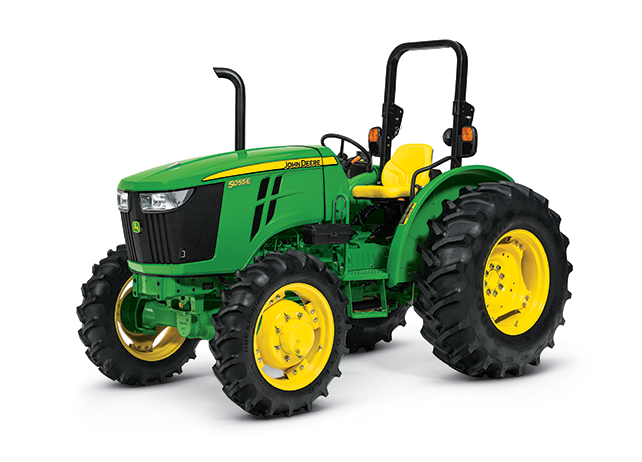 John Deere says there are two electric motors, one of that can be used for driving while the other is used for a power takeoff, and a system that connect to various forms of farm equipment. Alternatively, both the motors can both power the tractor for max acceleration. The advantages of electric power in agricultural machinery are pretty obvious. For one thing, it maintenance is a lot simpler, and there are also fewer components that can break down. For the most farmers, this last argument alone might prove sufficient. The cost of the fuel is also worth considering, as the fact that electric motors are famous for the torque they provide, and that is what matters most in tractors. John Deere expects that the electric motors will require much less maintenance than a diesel engine. They’ll also provide redundancy and last longer.